Ketchikan, Alaska - It was good to see people all across the political spectrum turn out for Jim Elkin's memorial service recently. Some people in the community thought that the former Assembly Member and State Representative was a polarizing person, but that was never my thought and - heaven knows - Jim and I disagreed on a great many things over the years. 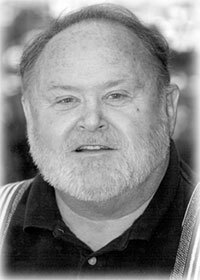 What Jim was was a person who very deeply cared about the community of Ketchikan. And he worked tirelessly to achieve what he thought was best for the community. For example, not long after I was elected to the Borough Assembly in 2003, I got a phone call from Jim. We had long before "agreed to disagree" on most political issues but he would still frequently stop me on the street to talk local issues. Anyway, he called me a few days after the election (and this was after he called a few days prior to the election and said I "had his vote"). "Kiffer," he said ( I don't think he ever called my by first name!) "The only advice I have is do what you think is right. Nothing else matters." You can disagree agree with how anyone goes about achieving their goals for the community but nothing else is as important as doing what you think is right. And then having the courage to stick to your guns when others doubt you. Jim certainly did that. My favorite memory of Representative Elkins was one of the first dealings that I had with him back in the early 1980s when he was on the Borough Assembly and I was just starting my journalism career with the Ketchikan Daily News. I can't remember what the exact issue was, but I was reporting on an Assembly meeting. Elkins - as was his wont - had gotten a little steamed about some issue and had spoken rather forcefully about it. When I wrote up the meeting story, rather than just saying "Elkins said" after his quote I wrote that "Elkins thundered." That was a violation of journalism standards somewhat, but as usual I was "stretching" the boundaries a bit to make the story more interesting. Besides, I felt, he really did "thunder" that particular statement. My editor, Duncan Frazier, looked a little askance when he read my story. "Are you sure, he 'thundered?'" he asked me. "Are you sure you're sure?" he pressed on. After all, there is no one more certain about what he saw and heard than a young journalist. It's only later you begin to question things you should have probably questioned from the beginning. Face it, young journalists have that same arrogance that young liberals and conservatives do. Everything is black and white. "Okay, it's your funeral," Frazier said with a little smile. He was always giving me plenty of rope to hang myself. "Kiffer, it's Elkins," Frazier announced (a little bit louder than I thought he needed to). Everyone in the news room stopped typing and stared. "Kiffer," Elkins said calmly. "Have you ever heard me thunder?" There was what I would later understand was called a "pregnant pause." Then it came. And that "thunder" was infinitely more booming than what I heard at the meeting. I can't remember exactly what he said. I just sat there listening, my face getting redder and redder as everyone else in the newsroom snickered. When I put down the phone, my editor looked up. I thought about my words a little more carefully this time. Then I answered.